Alice Mae Heft , “No No”, age 93 passed away peacefully Saturday January 12, 2019. Alice was born on September 3, 1925 in Kalamazoo Michigan. She was preceded in death by her husband Edward Joseph Heft in 1989 and also 13 siblings. She has lived most of her life in Summit, NJ. She was retired from Ciba-Geigy after 30 years. She spent the end of her life in Southport, NC enjoying fishing and being close to the water. She loved playing cards all the time and she had a love for cats. She is survived by her daughter Gail Susan Vito and her husband Raymond Vito, her grandchildren: Vanessa Stock (Bryan Stock), Raymond Vito and Jessica Pepling (Dean Pepling). 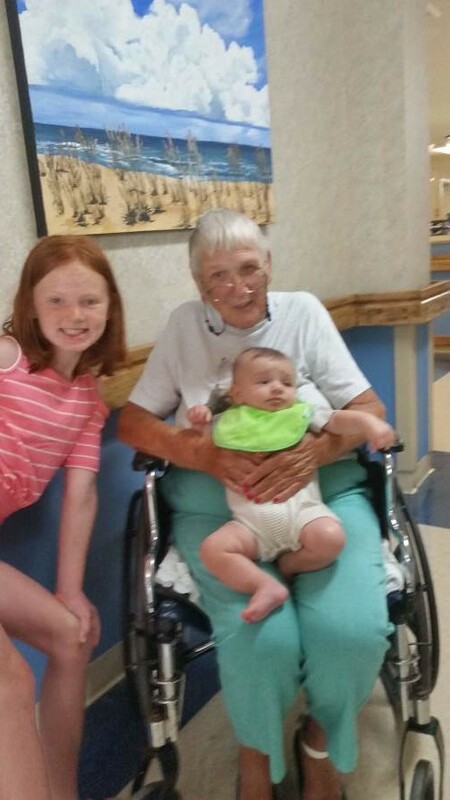 She had the blessing to meet and love on her great-grandchildren Morgan Mae Pepling (9 years old) and her newest great grandson Parker Solomon Stock (10 months old).